SONOSIM SUMMARY: Bedside ultrasound is a useful tool to assess for hypovolemia in patients with suspected undifferentiated sepsis. This study from the American Journal of Emergency Medicine specifically observes changes in inferior vena cava and right ventricle diameter before and after fluid resuscitation. The study found that bedside ultrasound measurements of the inferior vena cava and right ventricle diameter increased significantly after volume resuscitation, indicating that serial bedside ultrasounds may be useful for detection of hypovolemia and for monitoring responses to treatments. 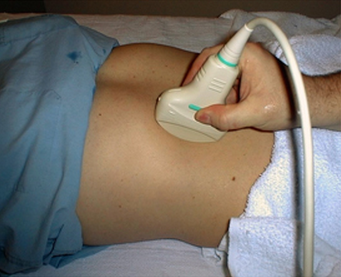 Ultrasonography has been suggested as a useful noninvasive tool for the detection and follow-up for hypovolemia. Two possible sonographic markers as a surrogate for hypovolemia are the diameters of the inferior vena cava (dIVC) and the right ventricle (dRV). The goal of this study was to evaluate IVC and RV diameters and diameter changes in patients treated for hypovolemia and compare these findings with healthy volunteers. Fifty healthy volunteers and 50 consecutive hypovolemic patients were enrolled in the study. The dIVC, both during inspiration (IVCi) and expiration (IVCe), was measured in hypovolemic patients both before and after fluid resuscitation, and they were also measured in healthy volunteers during the time they participated in the study. The dIVC, in hypovolemic patients both before and after fluid resuscitation, was measured ultrasonographically by M-mode in the subxiphoid area. The dRV was measured ultrasonographically by B-mode in the third and fourth intercostals spaces. The average diameters of the IVCe, IVCi, and dRV in hypovolemic patients upon arrival were significantly lower compared with healthy volunteers (P = .001). After fluid resuscitation, there was a significant increase in the mean diameters of the IVCe, IVCi, and RV in hypovolemic patients (P = .001). The results indicate that the dIVC and dRV are consistently low in hypovolemic subjects when compared with euvolemic subjects. Bedside serial measurements of dIVC and dRV could be a useful noninvasive tool for the detection and follow-up of patients with hypovolemia and evaluation of the response to the treatment. To read the article, visit The American Journal of Emergency Medicine Website.